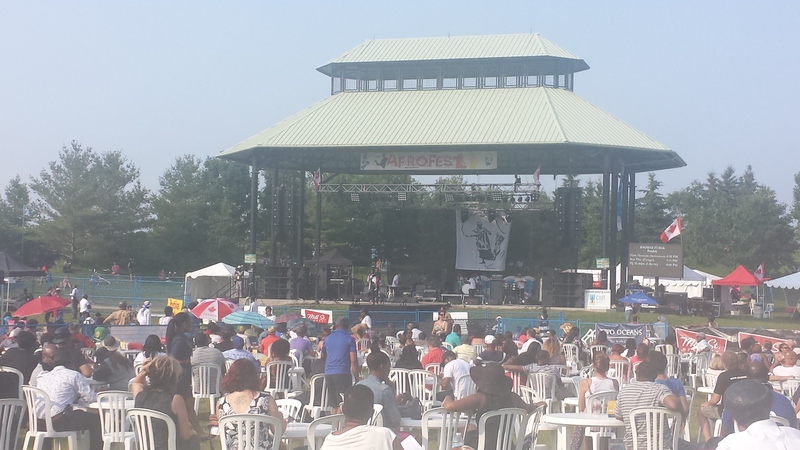 For the past 27 years, Afrofest has been bringing the rhythms, flavours, creativity, and vibrancy of the African continent to the heart of Toronto, in a free festival that attracts thousands of people annually. Is the Natural Hair Movement just a trend, or is it here to stay? First, I met Marilyn. “It’s about time!” was her response, when asked for her thoughts on the traction of the Natural Hair Movement. Marilyn started out her natural hair journey “spit-shine bald” two years ago, and now sports an oh-so-perfect asymmetrical ‘fro! Then I had the privilege of running into YouTube sensation, Samantha Gomez of I’m Samantha Gomez (click here to check out her channel), and fitness, lifestyle and hair blogger, Alaina Gomez-Henry of Shorty with a Curl (click here to visit her blog), who were working the festival as representatives for CURLS™ Hair Products. They both agreed that the Natural Hair Movement is here to stay. “People are embracing it more and more,” stated Samantha. 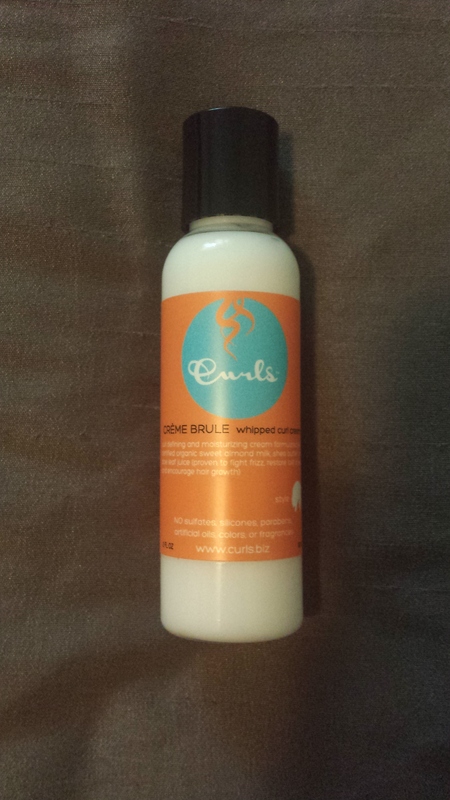 These beautiful curlistas were also kind enough to bless me with some samples of one of my favourite styling products, CURLS™ Crème Brule Whipped Curl Cream (love how it defines my curls! ), which made my day! Who doesn’t like crème brûlée? 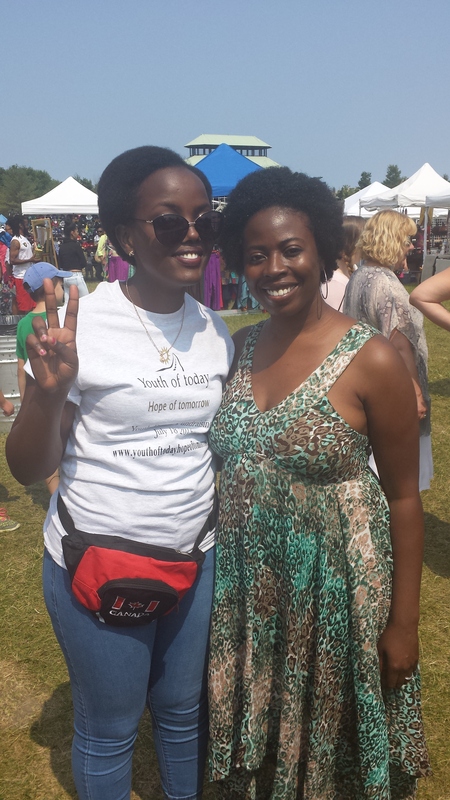 Later, I met the lovely Shaniqua, wearing extension braids with grey highlights, at the Black Experience Project tent. 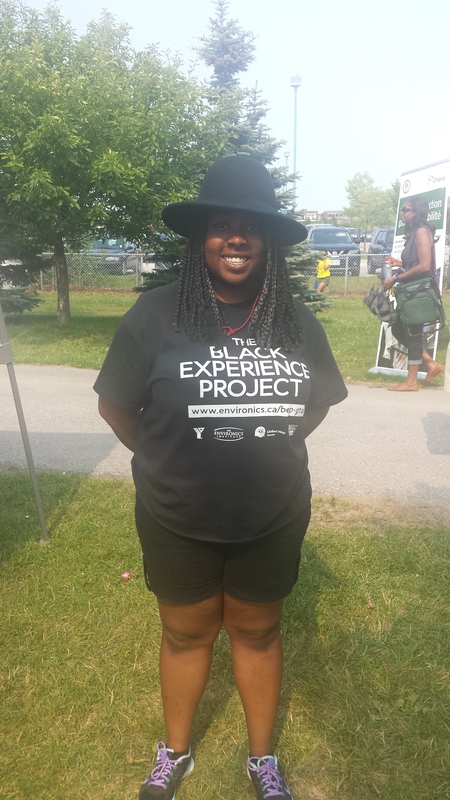 She was recruiting participants for the BEP Project, an important study about the “‘lived experience’ of individuals across the Greater Toronto Area who self-identify as Black or of African heritage” (if you’re interested in participating in the study, click here). 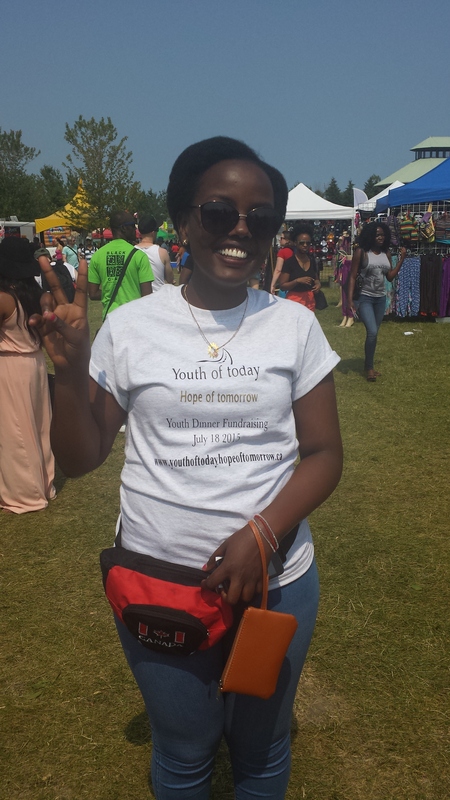 Shaniqua thinks that the Natural Hair Movement is here to stay, as “people are reconnecting with themselves and are embracing themselves.” She shared that she decided to go natural about 4 years ago, when her hair had broken off from perming it. The breaking point for her was when her stylist wanted $125 to perm just a couple of inches of hair…needless to say, she has been natural ever since! 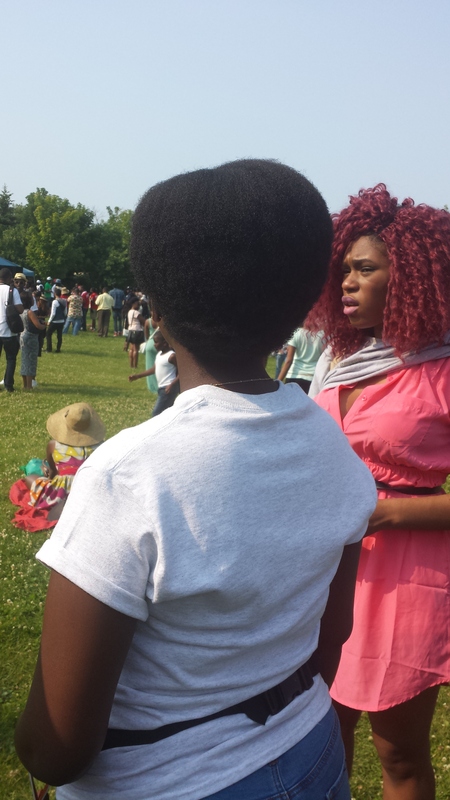 She shared that earlier on in her hair journey, she would go to Afrofest just to check out the hair—the festival offered a great opportunity to see what kinds of hairstyles other people were trying out! 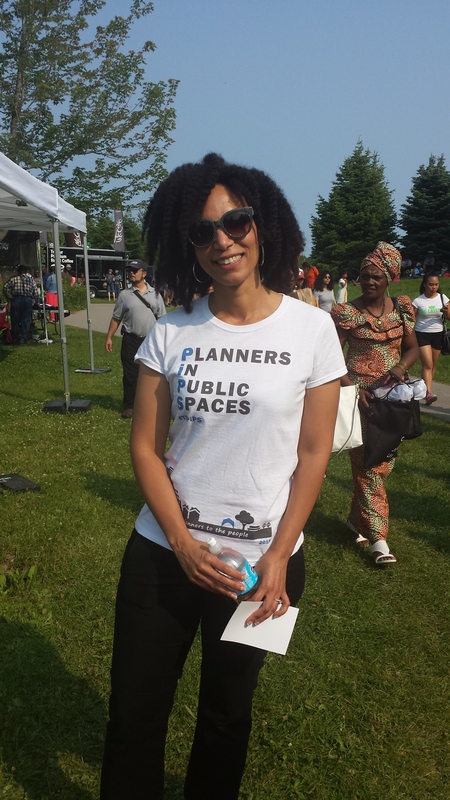 And I agree with her—what better place to get a snapshot of what’s happening in Toronto’s Black hair scene than a gathering of brothers and sisters from across the African continent and the Diaspora? 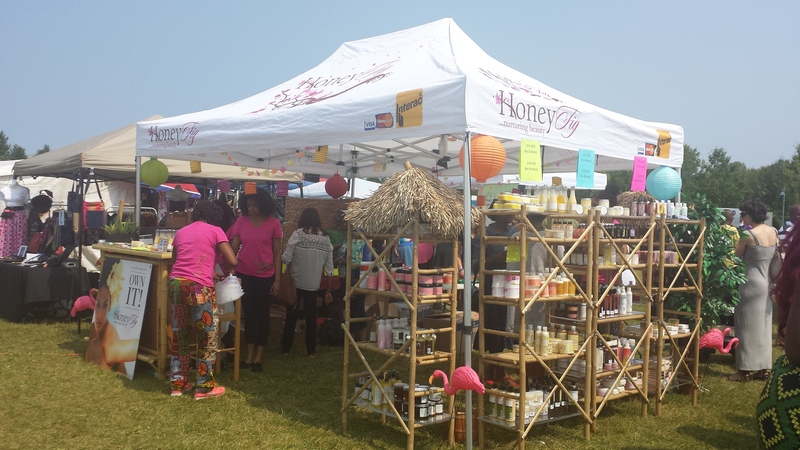 Honey Fig, the natural beauty supply store (www.honeyfig.com) had a tent too! 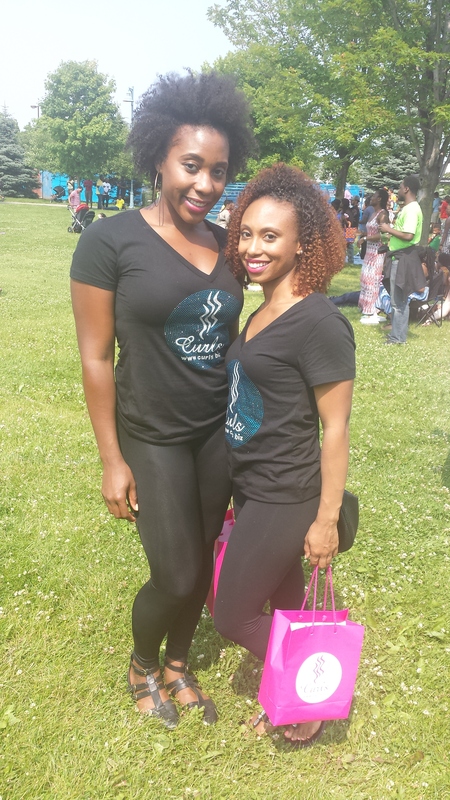 If my conversations with these naturalistas—along with my personal observations—were any indication, it looks like natural hair is not just a fleeting fashion trend, but rather is developing into a true movement of self-awareness and self-acceptance that is really taking root (pun intended) in the Greater Toronto Area. Do you agree? Is the Natural Hair Movement here to stay, or is it just a trend? I do agree that it is here to stay because from what I have read from blogs, vlogs and daily interactions – “the movement” is primarily about the evolution of accepting of your true self in its natural state. I realized that going natural wasn’t just an internal development for me but for many women and to me, that makes it more than a movement – it is the entrance into a new sustainable truth. It is not easy as a woman with existing internal/external flaws and insecurities to go against the grain of society’s ideals of beauty when you are told you look less beautiful wearing the hair God gave you (at least healthy straight hair would have been one less hurdle!). In my opinion, whatever you believe and value will impact every decision you make (including hair care). I don’t know what it is, but I personally find that even though there are days I feel like I just want to have permanent straight hair, I don’t think I could ever do it because I can’t bring myself to go back on this journey of self (and hair) rediscovery. Well said, Heather. Although fashion trends do come and go (including natural hair, which, as we know, was prevalent during the 1960s and 1970s), I feel like this time around, wearing natural hair isn’t necessarily solely focused on finding and asserting one’s “Blackness” as it relates to empowering the collective, but rather a rediscovery and acceptance of one’s self, as a Black person, on a more individual basis, as you described. This time around, it seems to be less about politics and more about psychology. That’s not to say that the political and racial elements are no longer relevant: what I mean is that the impetus for returning to natural hair is different. Moreover, with the general move in society towards more holistic health and wellness, I feel like this natural hair movement will be further sustained by our desire to move away from knowingly putting toxins into our bodies and finding healthier options instead. I truly believe the natural hair movement is here to stay and hope events like this inspire more people to return to their natural roots.